My good friend, Melissa, has had a rough couple of years — she has had 4 brain surgeries, radiation and chemo therapy to fight a rare brain tumor. Her prognosis is wonderful and her last two trips to the Mayo Clinic in Rochester brought super good news. 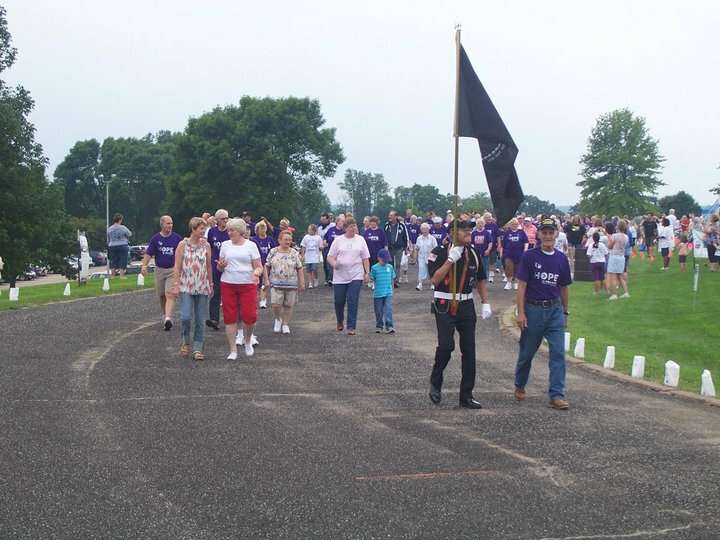 This past weekend she participated in the Rock Island County Relay for Life. 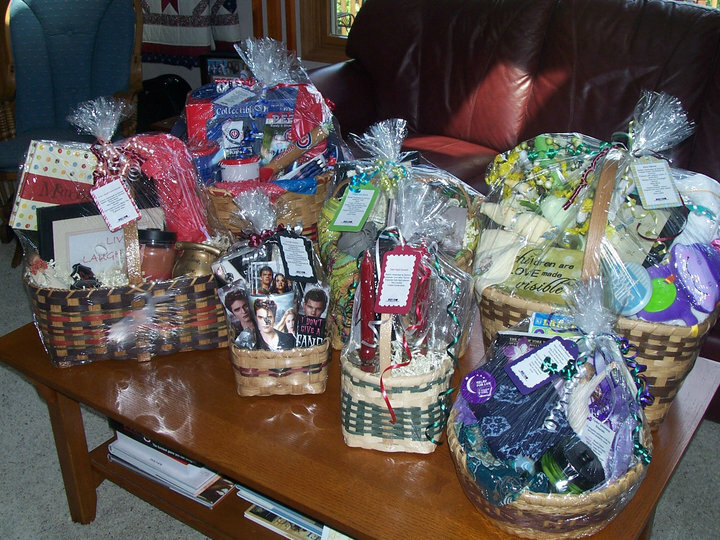 She and a group of her friends decided to put together some baskets for the silent auction. Several of us donated baskets for her to use — she put together “themed” baskets. One was a baby basket, one was “date night”, one was “live, laugh and love”, one was a “survivor” basket, one was after the book and movie ‘twilight, one was “i hope you dance” and one was a “cubs” basket. She and her cousin met at my sister’s home to put the baskets together.. 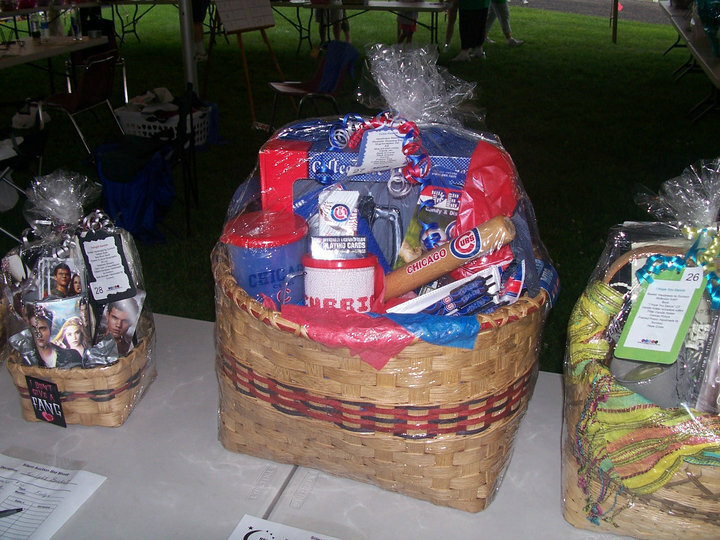 I made the basket that she used for the “cubs” stuff and it deserves to be displayed on its own, don’t you think? 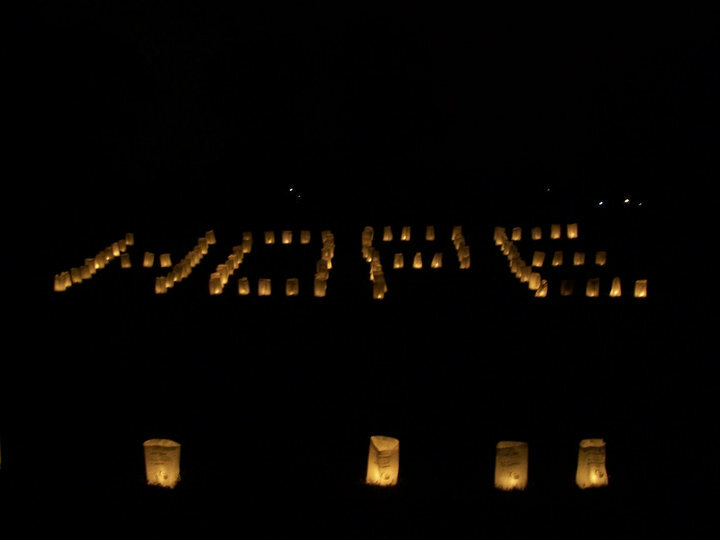 The night begins with all the surviors taking a lap around the track — after that lap all the supporters start walking. Each team must have one person on the track at all times.